Pokémon XD: Gale of Darkness, released in Japan as Pokémon XD Yami no Kaze Dark Lugia (ポケモンXD 闇の旋風ダーク・ルギア Pokemon Ekkusudī Yami no Senpū Dāku Rugia?, lit. 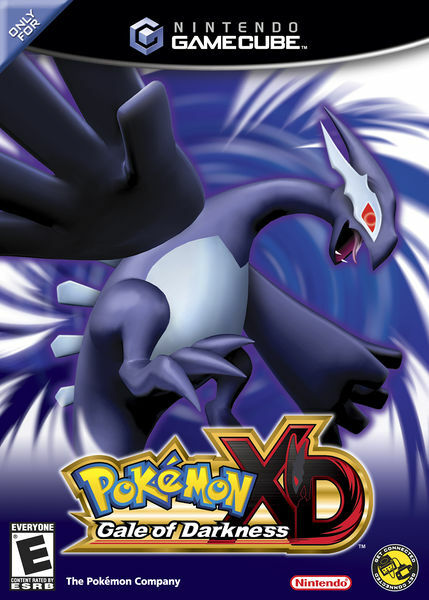 “Pokémon XD: Whirlwind of Darkness Dark Lugia”), is the second role-playing video game from Nintendo’s Pokémon franchise for the Nintendo GameCube. It is the successor of the GameCube game Pokémon Colosseum. The game takes place in Orre, the setting of Pokémon Colosseum’s adventure mode. All of the Game Boy Advance Pokémon games can connect to this game through trading and Battle Mode. The story begins five years after the events of Pokémon Colosseum with the introduction of The Hero, (default named Michael) the main protagonist. Michael talks to Professor Krane, his mother’s boss, who introduces the concept of Shadow Pokémon, which are Pokémon whose hearts have been artificially closed. The criminal syndicate Cipher is creating and distributing them for their evil purposes. Krane also introduces the Snag Machine, which is used to capture Shadow Pokémon to purify. 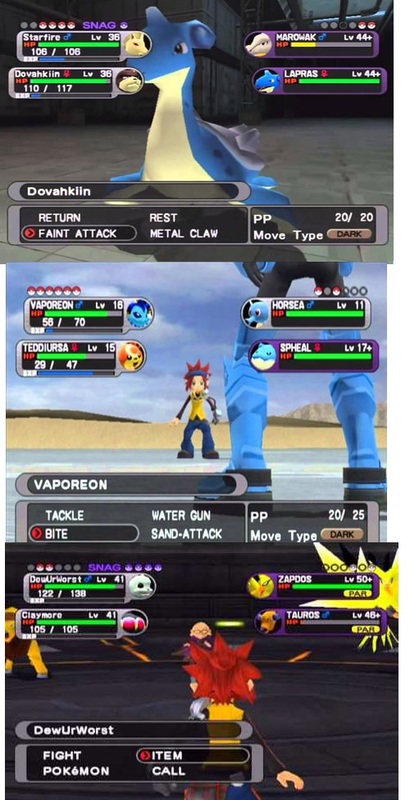 Krane entrusts Michael with the Snag Machine to capture these Shadow Pokémon and is given the Aura Reader (the eye piece) to identify them from normal Pokémon. Shortly after this, Krane is kidnapped by Cipher agents. Michael goes after the Cipher Agents to rescue Krane, and soon is led on many adventures throughout Orre. He must defeat the Cipher Peons and Admins and rescue the shadow Pokémon to save Orre from the evil Cipher. At the end of the game, he must get to Citadark Isle and battle the main villain: Master Greevil, who, in the beginning of the game, was thinly disguised as an old rich man named Mr. Verich. After Michael defeats Greevil and snags his shadow Pokémon, he must purify all of them, including the (seemingly) impossible to purify Shadow Lugia. After all of the Pokémon are purified, Michael returns home and puts down his snag machine, but he stores it safely in his room to be used if it is ever needed again.